Talk to the problem player software video to now these various types of this app is released with different versions and the advantages possessed. 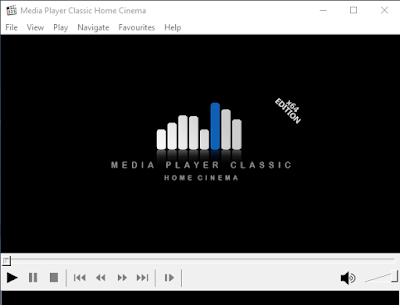 Every app is there on offer for free or paid, from the many application types player video in this article I will discuss the software music player, video and the like that have the name of MPC-HC or often referred to with media player classic. I myself use this app in windows 10. Download Media Player Classic MPC-HC Best Video Player. This software includes a video player that already was and still is always used until today. 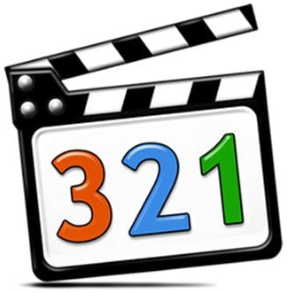 Media Player Classic or commonly abbreviated as MPC-HC can run or play various types of video format or audio, for example, MP4, MP3, MKV, WAV, FLV, MPEG, AAC, DVB, DVD Video and other types. Although already a legendary application because of the ease and advantages this application is still popular until today. When you open the application MPC-HC then it will look the appearance of the front page that is very simple is arguably very easy to understand. In the ranks of it, you will find some main menu like File, View, Play, Navigate, Favorites and the last to Help. You can play a file by pressing the file button in the top menu bar, there you will get a quick open, open device, open file, open directory you can even play files that you've played in the recent files. To more easily you can also directly open one of the files of video or music by means of click kana on the file and select the type of application player, for the is open directly you have to make the software MPC-HC is becoming default player files in your operating system. In the menu section of the playlist, You can control the order of video, audio and other files that you want to play in one playlist. Another very important feature is its guests the option after playback. Click on the menu play scrol down you will get the option After playback, in it you can set shutDown, Hibernate, Stand By, Log Off, Lock, right of the features provided by the windows os.